Mary Wayland's grandmother taught her to quilt when she was 11 years old, and ever since that time she has enjoyed every aspect of the process. 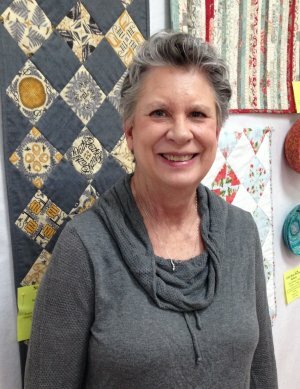 She especially likes finishing her quilts with free motion quilting, making quilts for charities, and teaching beginners. Mary also enjoys golf, her grandchildren, and vintage sewing machines. 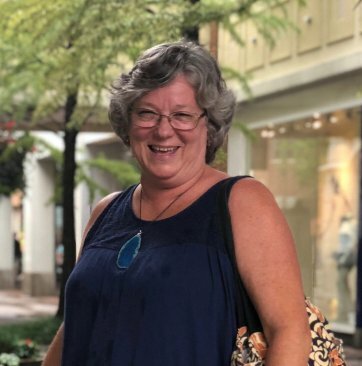 Robyn Fogler is a Certified Burda Style Instructor with the American Sewing Guild. Her grandmother and mother taught her to sew as a child, sparking the desire to create with her hands. She sewed clothing for her children, friends and her home, and even made a wedding dress for one of her daughters. Robyn is the leader of the ASG's, Richmond Virginia Chapter, Neighborhood Group Kids Sew Too.